0 g trans fat. 0 mg cholesterol. Gluten free. 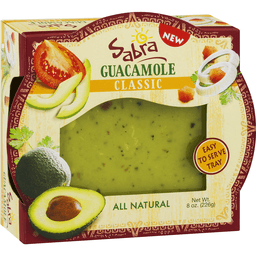 www.sabra.com. 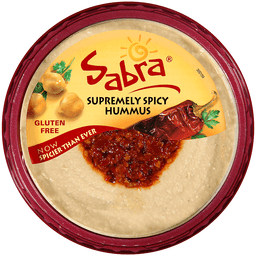 Customer Service: 1-888-95-Sabra. Product of USA. 0 g trans fat. 0 mg cholesterol. Non-GMO (This product was made without genetically engineered ingredie3nts; however, trace amounts of genetically engineered material may be present). Gluten free. 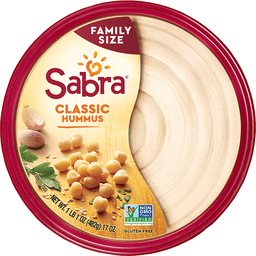 www.sabra.com. 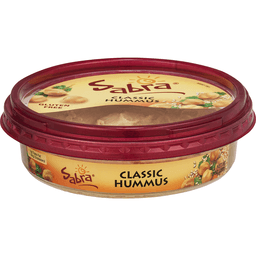 Customer Service: 1-888-95-Sabra. Now spicier than ever. 0 g trans fat. 0 mg cholesterol. Gluten free. 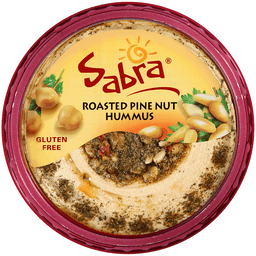 www.sabra.com. 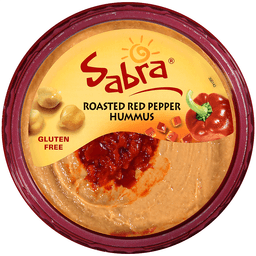 Customer Service 1-888-95-SABRA. Product of USA. 0 g trans fat. 0 mg cholesterol. Gluten free. 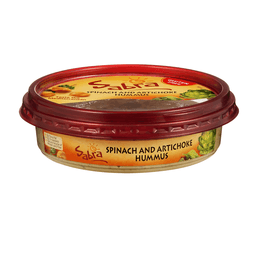 www.sabra.com. 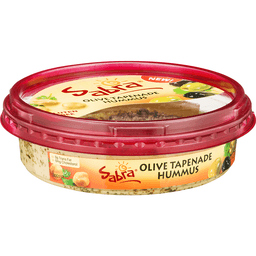 Customer service 1-888-95-Sabra. Product of USA. Simple ingredients. Simply delicious. Just a pinch. All natural chickpeas. Gourmet chickpea snack. 0 grams trans fat. Nothing artificial. What are hummus chips? 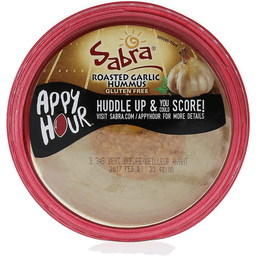 We took the main ingredient found in hummus - the chickpea - and baked its flavors and nutrients into an all natural bite-sized chip. Chickpeas were first cultivated over 7500 years ago in the Middle East and contain a large amount of protein, fiber, and many important minerals. No wonder these wholesome chips are nutritious and simply delicious! 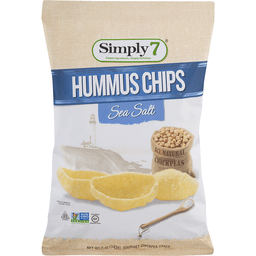 At Simply 7, we're passionate about making great-tasting, wholesome snacks for every lifestyle! We've created our chips to be both nutritious and delicious. All of our snacks are made according to 7 core standards and they are oh so simple: 1. 0 grams trans fat; 2. No artificial colors or flavors; 3. No preservatives; 4. Gluten free ingredients; 5. All natural recipes; 6. Simple ingredients; 7. Simply delicious - Rashim Oberoi, President. Try hummus chips with your favorite dip. Check out our other great-tasting snacks and get started on a healthy lifestyle. Made in the USA.